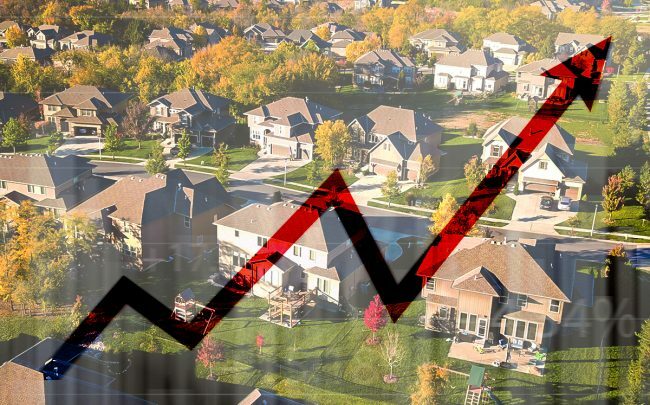 But those high prices point to "possibility of an impending buyer's market"
The U.S. housing market continues to cool down, and here’s another possible reason why. The average annual wage isn’t enough to afford a median-priced home in more than 70 percent of the counties in America, according to ATTOM Data Solutions’ first-quarter “U.S. Home Affordability Report” released Thursday. Those unaffordable counties include the usual suspects: Los Angeles, New York, Miami-Dade, San Francisco, and San Diego. The national median home price was $237,500 in the first quarter of 2019, and an average wage earner would need to spend 33 percent of their income to afford that price, on par with the historic average. But in most of New York and San Francisco, that amount jumped. The average earners in those two cities would need to spend more than 100 percent of their income to afford a median-priced home. In Los Angeles, it was 68 percent, and Miami-Dade was a far more manageable 40 percent. In all, median home price were not affordable for average wage earners in 335 of 473 U.S. counties analyzed in the ATTOM report. And the situation doesn’t seem to be getting better. Nearly half the counties were less affordable than their historic averages in the first quarter, according to the report, up from 42 percent over the same period last year. About 65 percent of the counties posted year-over-year decreases in their affordability index. The housing market is “in flux across the United States,” said Todd Teta of ATTOM, with prospective homeowners being priced out. But that trend could also create better conditions for buyers, he said. In Chicago’s Cook County, median-priced homes were still affordable, according to the report, one of the 138 counties in that category. Some others included Harris County in Houston and Wayne County in Detroit. A total of 165 counties posted year-over-year increases in affordability, according to the report. Those include Brooklyn’s Kings County, Miami-Dade, Chicago’s Cook County, Orange County, California, and Dallas County. Affordability was calculated using income needed to make monthly house payments — including mortgage, property taxes and insurance — on a median-priced home. The required income was compared to average wages from the U.S. Bureau of Labor Statistics.